Government organizations have historically not been early adopters of much hyped technology like virtual reality. Bureaucratic red tape, tight budgets, and a general resistance to change are just a few of the many reasons this has been the case. But surprisingly, as VR has gone more mainstream over the last 18 months, governmental divisions from the local to federal level have been some of the more innovative users of the technology. How has the technology captured the attention of government workers and how are they deploying it for effective use? To answer the first question, you have to understand two of the most underappreciated facets of Virtual Reality: it can save organizations money and it’s relatively easy to distribute. In terms of cost savings, creating and distributing a virtual reality app is no more expensive than a traditional video. Something like new employee training thus can save government divisions on travel, live trainer hours, etc. And with VR accessible on just about every smartphone, and the prevalence of low cost iOS/Android headsets like Google Cardboard, getting VR out to employees or outside audiences is simple. Let’s dig a little deeper into specific use cases where governments have deployed VR. Authoring training apps has rapidly become one of the most popular use cases for our web-based VR app creation software. One division of the federal government that uses InstaVR-created apps, for instance, has new employees first immersed virtually in their respective field location, before they ever step foot in the actual environment. Part of the reason is practical — VR can make you more comfortable and acclimated to a new location, so their employees are better prepared for actual on-site training. But the financial reasons government organizations use VR for training are undeniable. This particular organization mails up to 100 Gear VR headsets and mobile phones to a given field office. Despite the costs associated with the hardware, there’s considerable cost savings by virtually transporting employees versus doing the same in real life. And much of the training videos they use are evergreen, and can be used again and again at offices throughout the United States. The total cost of VR training is small compared with overall training budgets, and any time saved or improvement in employee performance has immense value. VR is also a good fit specifically for training employees in dangerous jobs. For cities and towns, this could include occupations like firefighters, cops, and EMTs. Firefighters, for example, can use a Vive application with a hand controller meant to specifically simulate a fire hose. All of these high pressure municipal jobs require a lot of training before facing real circumstances, and nothing simulates reality as good as VR. In a relatively strong labor market, job recruiters have to get creative. What better way to show off the day-to-day life of an employee than through an immersive VR experience? The Navy, for example, has extensively used virtual reality as a recruitment tool. This isn’t a surprise, as the target audience of Navy recruits has been raised on video games and video-based tools like YouTube and Snapchat. 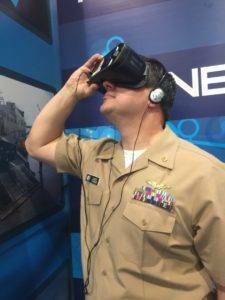 Creating VR experiences they show out of a custom built trailer called The Nimitz, the Navy has seen a substantial uptick in potential recruits generated by those that don the VR headsets. VR beats written materials pretty handily, it’s safe to say. It’s no exaggeration to say that public schools are perpetually fighting an uphill battle to get funding for technology. One of the most affordable tech enhancements though has been VR in Education. Students can get an immersive, engaging, virtual tour of a faraway place, without having to leave the classroom. Google’s Expeditions, for example, allows students to learn history through VR experiences. Tools like our InstaVR platform also empower teachers to make their own virtual field trips for students. With the declining costs of 360 cameras, and the ubiquity of Google Cardboard (and similar) headsets, teachers can distribute VR field trips of their own making to students who have iOS/Android smartphones. VR truly does make learning more dynamic. Convention & Visitor Bureaus occupy a unique position within governments in that they’re required to spend money to make money. Essentially, they’re investing in different marketing techniques to highlight the qualities of their city or state. And VR has yielded significant ROI for many marketers. Virtual Reality helps organizations make memorable experiences that cut through the marketing clutter of modern life. 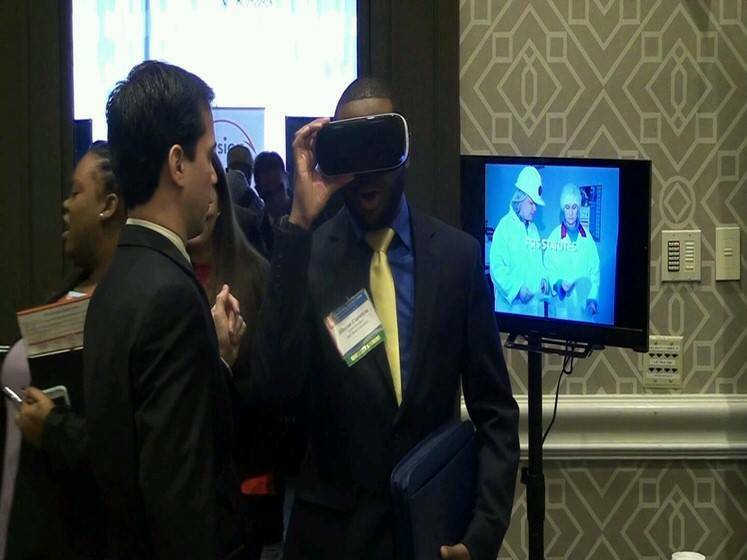 Atlanta, for instance, created ATL360 as a virtual reality experience to advertise the city to conference and event planners. The VR application utilizes hotspots to feature specific Atlanta neighborhoods, restaurants, hotels, and more. And Atlanta is not alone. One of our clients at InstaVR, Qatar Civil Aviation Authority, designed a 360 video tour of the Hamad International Airport to acclimate new visitors to all the amenities offered there. Even the White House put together a very high quality VR tour last year for distribution on the Oculus Rift. Multiple divisions of government can take advantage of virtual reality today. Be it to train employees to do dangerous jobs, recruit new employees, educate students, or recruit businesses to hold conferences — there’s no shortages of ways VR can be incorporated into government activities. Not only is VR an exciting technology for government organizations to adopt, it also has practical value for saving money. 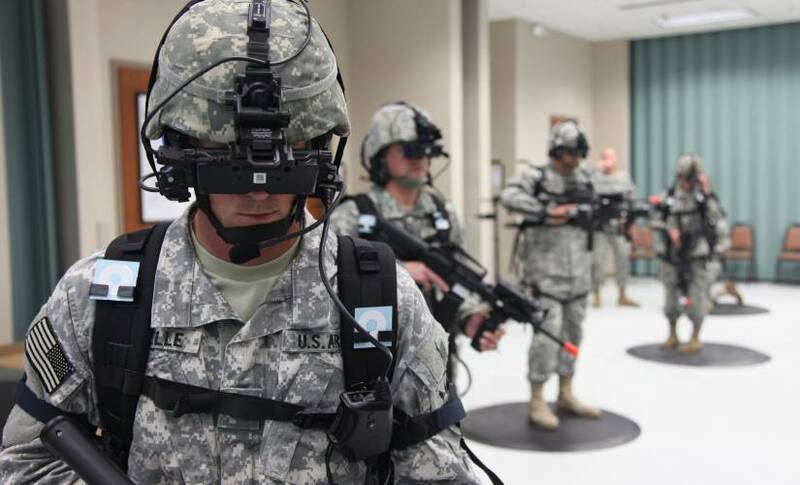 If you work for the government in appropriate capacity, don’t be afraid to introduce VR to your division. It’s much simpler and more affordable to make than you might expect. Andrew Woodberry is the Head of Sales & Marketing at InstaVR (http://www.instavr.co), a web-based platform for authoring, publishing, and analyzing 360-degree VR content. 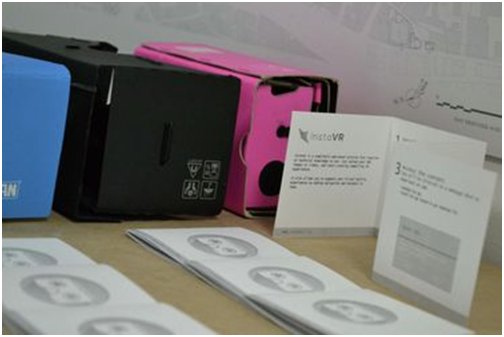 Since its launch in December 2015, InstaVR has had over 10,000 people and companies sign up to more quickly and easily publish VR apps across the major platforms.